A few weeks ago, I was in the house, minding my own business, when I felt our house shake. Now, we have a brick house, so a shaking house is no small feat. A moment later, Benjamin’s friend came in the house saying that Benjamin was hurt. Apparently, the two of them were racing bikes and Benjamin was winning. He turned around just for a moment – to gloat, I’m sure – and when he turned back around, the house was right there. His bike hit the house and then his entire chest hit the house. I’m guessing he slid down the brick because his chest was full of “road rash” or in this case, “brick house rash”. So, I did what any mom would do, I smeared it with raw honey, wrapped him in cheese cloth and told him to stay away from the bee yard. I wasn’t sure how long an 11 year old boy would walk around smelling like honey so I went to work making a basic healing salve that we could rub on the rash but wouldn’t be so sticky that it needed to be covered with cheese cloth. 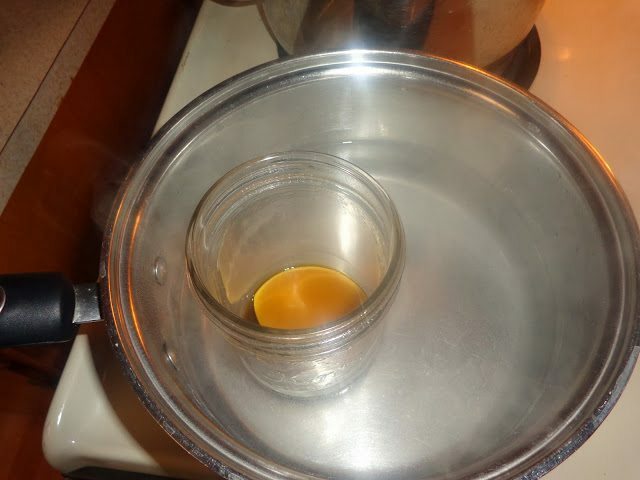 I started by melting about 1 oz (weight) of beeswax in a pan of water. 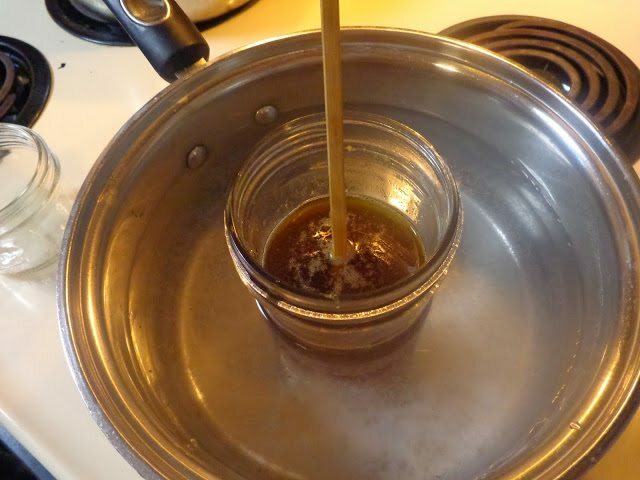 I’m using a pint size wide mouth canning jar to make the salve. When the beeswax was melted I turned off the heat. You don’t want to heat beeswax too much or it will destroy the enzymes. Then I added in 1/2 cup of coconut oil and stirred with my handy dandy chopstick. I finished it off by adding about 20 drops of tea tree oil and 20 drops of plantain extract. Then I poured it into a 1/2 pint wide mouth jar. I chose these essential oils and herbal extracts because I had them in my cabinet and because they both have great antibacterial and antimicrobial properties. Tea Tree oil is also used as an antiseptic, antiviral, expectorant, fungicide, insecticide, stimulant and sudorific substance. And plantain has anti-inflammatory and antitoxic properties. 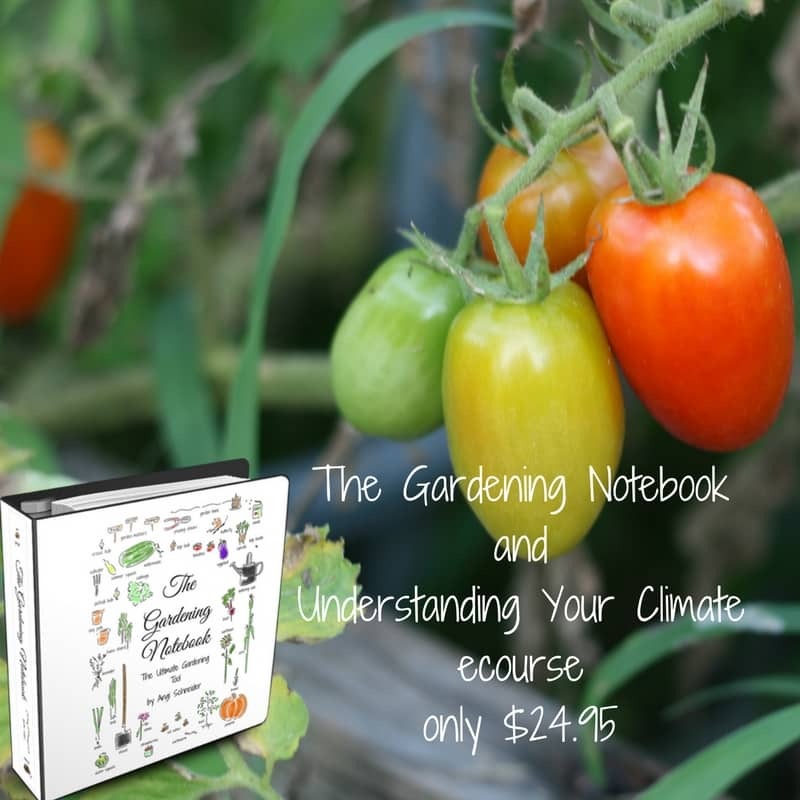 It also relieves and soothes insect bites and stings and poison ivy. By switching out the essential oils and infused oils, you can make a salve for almost anything. You can also make a body butter or even a decongestant salve, like Vicks only better. A note about texture. My salve is pretty firm, I did that on purpose For this, I didn’t want a salve that would need a lot of rubbing in, also several of my teens are using this on their faces as a moisturizer to help with some acne issues they are having. 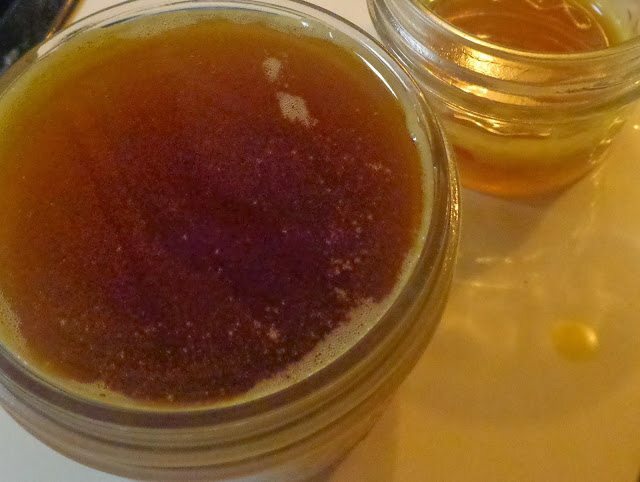 If you want your salve to be more lotion like, just use less beeswax. Or use more oil. You can even use some olive oil instead of all coconut oil. 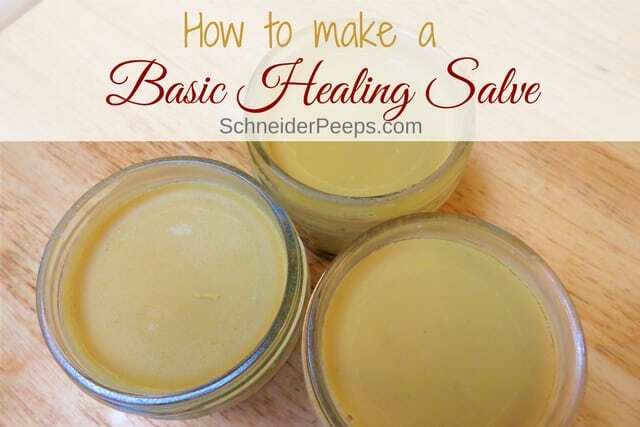 Have you ever made a salve? What are your favorite herbal combinations? Sounds painful! I hope he’s feeling better. He’s fine now, but it was a painful lesson for him. I was surprised at how quickly it all healed. I hope Benjamin is healing well and feels better. That must have hurt! I’ve made plaintain salve using infused oil; I’m interested in how the extract is made? Thanks, Kathi. He’s fine now. I was more concerned that he might have broken a rib, but he didn’t…which was good. The plantain extract I used is extracted with alcohol – I’m assuming vodka. We usually use it for cold sores, it works great for that. 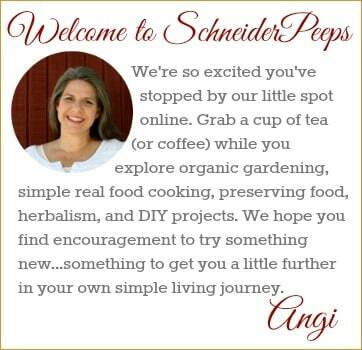 It’s a pleasure to discover your blog through SmallFootprint Friday! 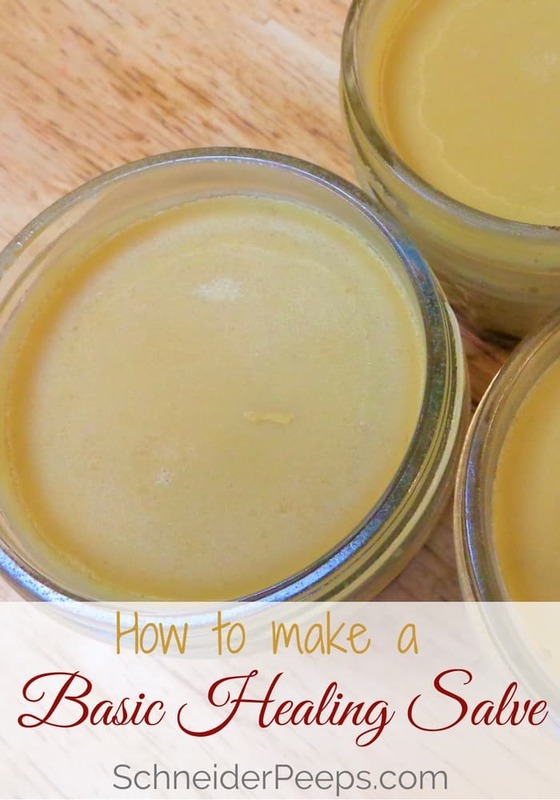 This salve is a wonderful natural remedy. Thanks, Deborah. I’m glad you’re here. oh, yes, we use alot of aloa vera also. Fortunately, we have huge pot full of it. Yes, it worked great. We are continuing to use it on our dry hands and any scratches or scrapes we get. Thank you for sharing at the Homeacre Hop! I’ve had this on my to-do list for some time. I’ve really got to try this soon. 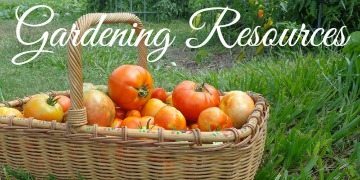 Please join us again at: http://www.homegrownonthehill.blogspot.com. Ouch! 🙂 But thanks for sharing! We use solid coconut oil mixed with essential oils for everything! I’m lazy and haven’t purchased any beeswax but I know I need to to make our salves easier to apply. Coconut oil melts and runs everywhere on contact, of course! I do have a couple of lotion bars that are heavy on the beeswax that we use for dry/chapped skin that I really like! Awww, thanks so much, Anjanette! The beeswax really helps with firming up the salves but honestly, if my son wasn’t a beekeeper I’m not sure I’d have any either. I have not heard of plantain oil. What is it? Hi Latha, I used plantain extract (tincture) not plantain oil. Plantain is an her that is well known for using on skin issues. You can make an infused oil with dried plantain leaves but for this salve I just used plantain tincture because that’s what I had.